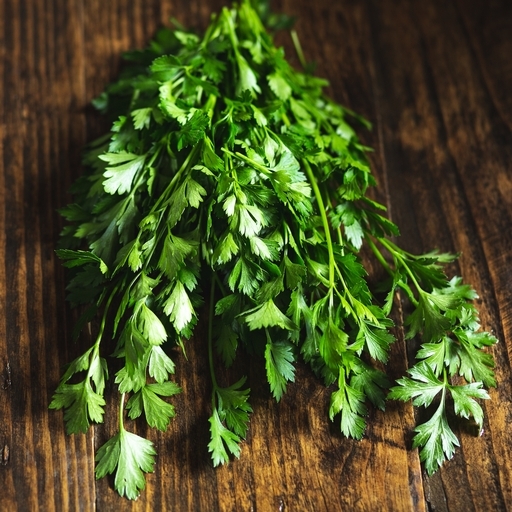 Freshly picked organic flat-leaf parsley. A snappy, multi-purpose herb to lift and lighten any savoury dish – well worth keeping on standby. Throw in a handful of roughly chopped leaves with pulses and roots, use as a garnish, or make good old-fashioned creamy parsley sauce to go with ham or smoky fish. Keep in a bag in the fridge for maximum freshness. We grow some of our herbs here in Devon or at our Upper Norton Farm in Hampshire but for more variety we turn to the expert. Simon Weir has grown herbs at Turf Croft Farm in the New Forest for almost 30 years. He has always avoided using chemicals and pesticides and has recently become organically certified.